We are a specialist food marketing and design agency and have been working in the industry for over 30 years. We have worked on marketing initiatives that cover the entire food supply chain, producers, processors, suppliers, manufacturers, retailers and the foodservice sector. Simple graphic packaging designs or complex below-the-line marketing strategies, our experience is both broad and comprehensive. It all started when we produced a range of fish packaging designs for Marks and Spencer and preparing marketing strategies for Northern Irelands’ pork industry. A journey of experience and knowledge, product branding, export initiatives, product launches, niche marketing campaigns and tactical work countering national food scares. Recent projects to develop Assured Food Standards’ on-line branding manuals for Red Tractor, demonstrates a thorough background to our knowledge of food standards and the important role that quality standards play, in the marketing of food and food products. Working with producers on standards and implementation for the Scottish agricultural industry for Scotch Beef and Lamb, Scottish salmon and Welsh lamb it has been not only a journey taking us through the entire country region by region but into the European Union working on assurance branding and marketing for EFSIS assurance integrity standards on the farm, through to processing and manufacturing. Working with producers on farm assurance regimes, processors on welfare, food quality and brand integrity, we know the importance of product confidence in relation to consumer purchasing preferences. The food supply chain from the producer to the processor, to the cutting plant, to the packer and the wholesaler is complex. A thorough understanding of supply procedures and logistics is vital when planning product launches, trade marketing initiatives or planning regional brand propositions. Working with Farm Assured British Beef and Lamb (FABBL) on the launch of their farm assurance scheme for the UK beef and lamb industry was one of our first initiatives. Working with major processors, wholesalers, catering butchers and cutting and packing plants, has broadened our understanding and knowledge, providing us with important, and relevant experience, when planning marketing initiatives in both the retail and foodservice market sectors. Major multiple retailer on-pack sales initiatives for milk, cheese, beef, lamb or pork products, are hard-hitting and in your face sometimes. It’s fast, it’s furious, it’s exciting and when approached correctly, it’s very effective. In developing product launches, volume sales promotions, on-pack consumer incentives and new product sales tracking, we have significant experience in the large retail and foodservice markets, retail butchers, cash and carry’s, wholesalers and manufacturers. To support high profile, sales promotion activity, we have designed and produced a whole range of point of sale and sales promotional literature. We have developed product branding for Scotch Beef and Lamb, Specially Selected Scottish Pork and assurance initiatives with Welsh Lamb. We have written and developed marketing strategies for English farmers and trade marketing plans for Irish pork producers through to the Scottish salmon and dairy industries. A clear demonstration of our broad knowledge and understanding of trade marketing campaigns and initiatives. This added to our experience in the Export market with trade advertising, literature and exhibitions stand us apart from our competitors. Providing the appropriate brand image and communicating product benefits are essential in achieving differentiation. Building a foundation to promote food products in the marketplace, highlighting unique selling points, enable us to deliver market propositions. We work with our clients on new product initiatives providing the framework for evaluation and the marketing tools required to penetrate trade, consumer and export markets. From a bible of specifications and new cuts for the meat industry through to regional brand propositions, we know the importance of product development for your business. Working with manufacturers, taste testing, consumer research for snack products, meat or fish, we understand the importance of development – we can help, we know how to! Celebrity chefs, high profile restaurants, supply chain initiatives, point-of-sale, purchase incentives, manufacturing and packaging. Working with high profile chefs on recipe development, events and new product launches, has enabled us to cut our teeth in this massive and diverse market sector. Developing promotions for Cash and Carry, specialist meat suppliers, brand initiatives, supply chain events and corporate company brochures covering the entire sector, from production, processing, manufacturing through to point of purchase – it’s a complex market, but we know about it! Launching a brand that has no relevance, no product benefits nor points of differentiation and has no strategic marketing plan is a waste of resource. Brand launches brand design work, trade and consumer marketing strategies, research and evaluation. 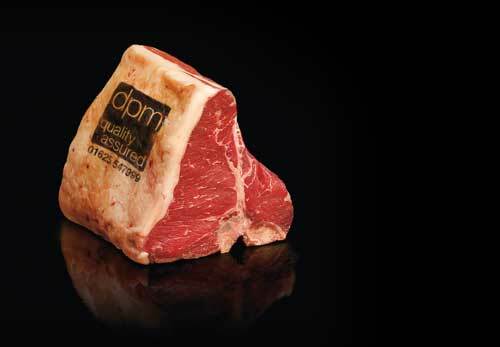 DPM have launched brands from both trade and consumer perspectives, right through the food supply chain. Regional brands with a national proposition, multiple retailer branding and wholesale brands for meat. With over 30 years experience in this discipline, we know about brands, we know how to launch them and we know how to make them work in the market. Working alongside and launching national brands is exciting enough, but providing marketing strategies, trade launches and consumer propositions for regional brands has been particularly prevalent in the marketing of food and food products in the agriculture sector. Provenance messages have become important to chefs and restaurants, butchers and regional products in the multiple retail sector. Consumers want to know where the food they are eating has come from; they want to know it is safe and consistent in terms of quality and taste. We have been involved with the dynamics of regional brands for a number of years, from Northumbrian beef, Cumberland sausages and other pork products, through to regional cheese brands and Cornish lamb. Typographical knowledge, photographic skills, graphic design and creative development, from simple on-pack work to complex trade brand concepts, we understand the importance of presentation. This coupled with research and evaluating consumer response provides a knowledgeable and comprehensive design service – design is not just about appearance, it has to work! National brands, food assurance quality marks, content management web based databases. Design, programming and developing websites for the National Farmers Union and Assured Food Standards Red Tractor mark. The development of a unique database management system for EBLEX relating to Quality Assured beef and lamb. Designing trade websites with consumer interface and the management of the systems is an important discipline we offer our clients. Web work can get lost in translation if it’s over complicated. It requires simple applications and navigation systems for ease of operation – it needs to work for the consumer or for the trade! National, regional and local distribution, collation and fulfilment, our in-house facilities provide a hands on delivery capability for our clients. Collating national butcher point of sale kits and distribution, call offs from sales promotions and point of sale support. Consumer prizes and trade literature requests in relation to multiple retailer sales promotion activity, our in-house storage and fulfilment coupled with outside warehousing provides our clients with a dedicated fast response, logistic and fulfilment discipline. This coupled with on-line bespoke information tailored to specific customer requirements – we know how to handle it!